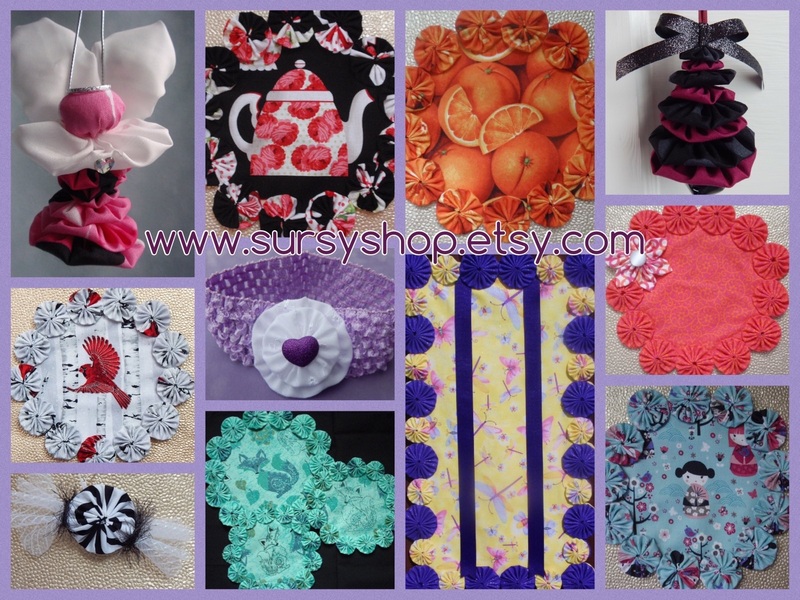 This week’s featured shop is Sursy Shop! This shop has a huge assortment of carefully crafted items at affordable prices. It is full of lovely handmade pieces designed to brighten someone’s day. SursyShop is family-owned and operated by; Robin (maker/designer), Carl (design consultant), and Alaina (color consultant). Robin has always loved crafting and has dabbled in a multitude of mediums. She says, “I love the challenge of trying to bridge the gap between my mind’s eye and my hand’s capabilities. The thrill of getting it right is like none other.” Her experience and love of her craft can be seen in every piece she creates. “Sursy” is a Southern term for an unexpected gift or token of affection; which relates perfectly to the nature of the items provided in this shop. You can find a very large assortment of hand-embroidered doilies, candle mats, organizers, headbands, pins, decorations, ornaments, and even some gift sets. They use a myriad of colors and fabrics, so you can find something for everyone. 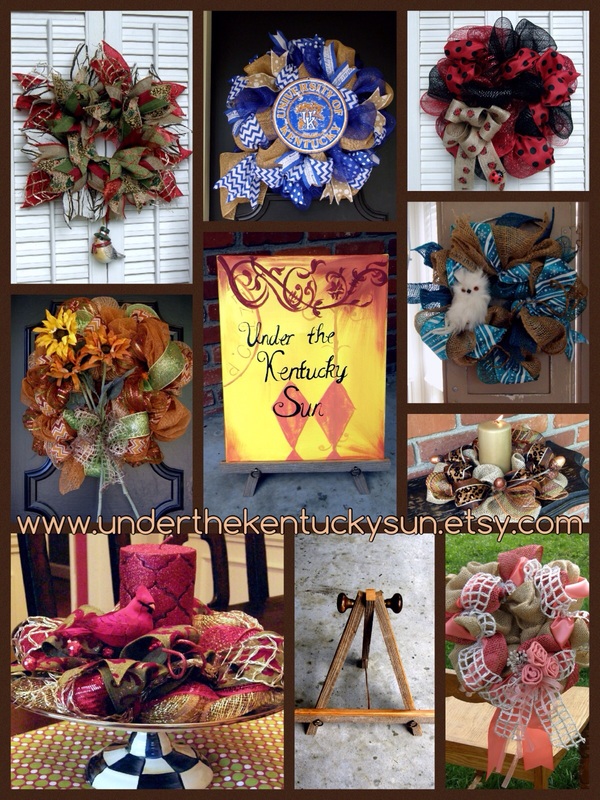 This week’s featured shop is Under the Kentucky Sun! This shop offers uniquely gorgeous wreaths, antique wood easels, signs, and centerpieces. Every item is positively dazzling. Under the Kentucky Sun is run by a very creative duo: Stacy and Chris. Stacy specializes in one-of-a-kind decorative pieces, and Chris constructs stunning woodwork. Their creations are sure to bring a smile to your face, they make wonderful gifts and can be used in countless ways. If you’re looking for a unique gift for a loved one or a treat for yourself, this is the shop for you. Whether you need a decorative piece for a special occasion or year round, you can find it here. Along with the large array of items on their site, they can also work with you to create custom orders.